During the epic Voyager missions, after one of those innovative little mechanical explorers had finished with its primary mission to give us our most astonishing close up encounters with the most distant worlds in our solar system in a detail that Galileo and Copernicus could never have dreamed possible, it was re-tasked and reprogrammed to turn around to look back into our solar system from the cold, dark edge of our own little stellar neighbourhood. 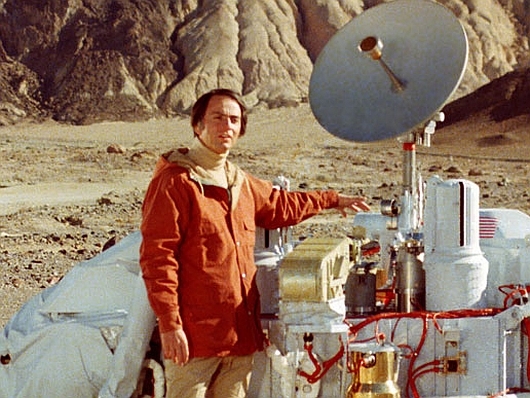 The late, great Carl Sagan was one of those who campaigned for this to happen – no small feat given the codes to reprogramme the distant probe would take hours to reach it even travelling at the light speed of radio waves, so far was it from home now, and there was no true scientific knowledge to be gained from this move. Sagan, however, always understood that science has to appeal to both the heart as well as the head, emotion and intellect, and be able to make everyone grasp why it was important to us. The spacecraft was turned and took what is now known as the family portrait, a view of most of the planets in our solar system, a perspective no-one in the entire history of humanity had ever beheld before, a real “going where no-one had gone before” moment. In that family portrait is a pale, blue dot, not even an entire pixel in size – our world, the Earth. As Sagan put it, everything any of us has ever known, every person we have read of, every person who built a monument we’ve gazed at, everyone we have ever loved and all those who came before them, right back to the emergence of our ancestors out of ancient Africa’s cradle to start out human journey, every one of them, peasant and king alike, lived on that tiny dot. Joel Somerfield’s animation is very short but celebrates that moment, using the words of Sagan, a moment when emotion and science, heart and intellect, gave our species a new perspective on the majesty of creation and our own place in it, just a tiny mote floating in the glow of the sun, miniscule in astronomical terms, fragile, but never, ever unimportant, but a wonder in a sea of wonders, a haven of spectacularly diverse life. Our home. 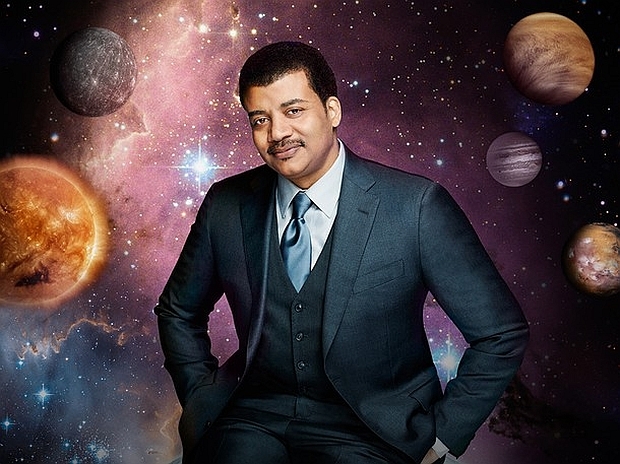 I see that this fab remix of the late and much missed Carl Sagan’s word from Cosmos that has proved popular on YouTube is getting a release as a traditional 7 inch vinyl. Funnily enough a friend sent me some music tracks he came across recently, from Cosmos, which we both remembered watching; it was instant nostalgia for me. As a boy I adored the series; I was already fascinated by astronomy and the exploration of space and this fueled it, as well as introducing me for the first time to Sagan. Years later I’d admire him for speaking out for the importance of scientific research for the sake of research and not simply for commerce, for the value of knowledge over susperstition and the need to take care of our own remarkable world, so different from the other planets we were exploring – he even publicly berated Margaret Thatcher once when she was Prime Minister, scolding her for her lack of support for pure research and environmental awareness, telling her it was shocking that someone who actually had proper scientific training could be so foolish. And while we’re at it, here’s a short video, the Pale Blue Dot, by Carl. As the aging Voyager reached towards the edge of our solar system he argued for NASA to turn it to face back towards us – no easy task when the vast distance meant even radio signal commands travelling at the speed of light would take some time to reach the craft, then longer for returns, assuming it even worked. But he argued and they did it and the result was ‘the family portrait’, a view of the worlds of our solar system as no-one else in the history of our species had ever seen it, a shot taken from the edge of what we know from a little machine about to cross that boundary, a parting gift from one of the great missions of exploration. 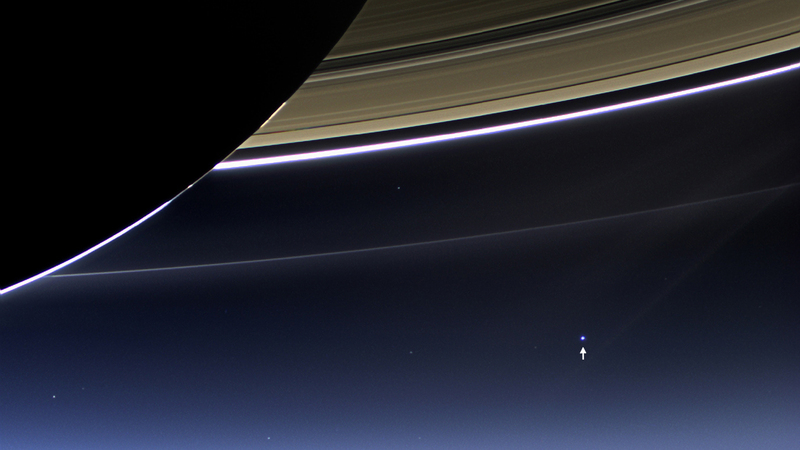 And in that picture a tiny dot, a blue dot taking up even less than one pixel. That dot being the Earth. Everything we’ve ever known, every person who has ever loved and lived, every cat, every dog, every Triceratops, every dolphin, every fern, every bush, every fish, every work of art, all contained inside that tiny, tiny dot… Sagan had that wonderful gift of enthusiasm and the ability to communicate the sense of wonder to all, a great spokesman for science.